The other day, while having lunch at my favorite noodles place, I met a girl who looks remarkably Indian. I had been curious about her – I had seen her fleetingly, and she was usually with the Thais. 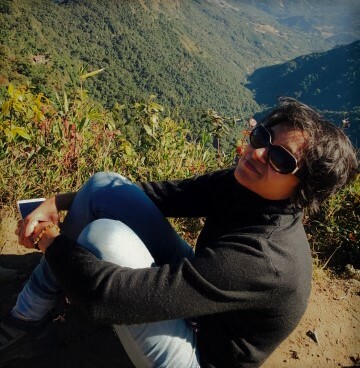 There is another woman who looks so much like Rani Mukherjee, but is from Chile. Turns out that Roya, that’s her name, is from Malaysia. We ended up having lunch together – the uncanny Indian resemblance was simply because of an Indian father. Roya is an interesting person to chat with – her level of Chinese is much higher than mine. It helps of course, that they learn Chinese in Malaysia! She is not really Indian, of course, she calls herself a Malaysian. She spent a few months in Delhi working as a volunteer at the Bahai Temple. Roya doesn’t stay on campus, which explains why I have seen her only a few times. She talks about her feeble attempts at cooking – and invites us over to her apartment to cook Indian food anytime we want. Everyone here is really generous that way – they readily offer their kitchens – who wouldn’t come to think of it? You don’t have to cook – just offer your kitchen, and enjoy whatever they cook up. Roya is still doing her degree – I forget now what is was majoring in – and knowing Chinese is always a plus on the resume. She also works part-time in Yafei Dental Clinic – just helping Chinese interact with foreigners. It is she who tells Dawei and I about a Chinese Corner at the same dental clinic on Saturday. Those are unfamiliar with the world of English language learning in China would probably not understand what a Chinese Corner is. Almost every self-respecting school or college in China that offers English teaching by foreigners will often boast of a weekly English Corner. These are informal sessions – usually away from the confines of the classroom – where Chinese students can interact with and practice their English with foreigners in a more relaxed setting. When I used to teach in China – English Corners were a pain in the you-know-where. You usually have to stand there, surrounded by giggly and nervous Chinese students – and answer the same questions over and over again. Conversation is painfully slow and sporadic – and that 1 hour would be the longest of the day. Yet, I can understand why it’s important – the Chinese learn English as a textbook. They fail to learn it as a language to use. Very often, when confronted with English speakers, they are unable to harness that textbook knowledge and transform it into practical use. The result is what I call mute English. They know how to speak English, but they can’t. English Corners are theoretically meant to help them loosen up. And speak. And sometimes that’s what we need as Chinese learners – we too run the risk of becoming mute Chinese. Despite staying in China, we don’t really practice everything we learn in the textbook. For obvious reasons, you really cannot talk about having a cold or a fever or that you didn’t pick up my phone call to everyone. So when Roya said that there was a Chinese corner in the dental clinic – with free coffee and desserts, we jumped. Noyi, a woman from Thailand, also offered to come. And then when Saturday rolled around, of course, she didn’t. Roya’s phone was switched off. Jorg and Julie had come along too. But after watching the mouse next door for sometime *really* we decided that we wouldn’t go to a dental clinic without confirming the existence of such a corner. 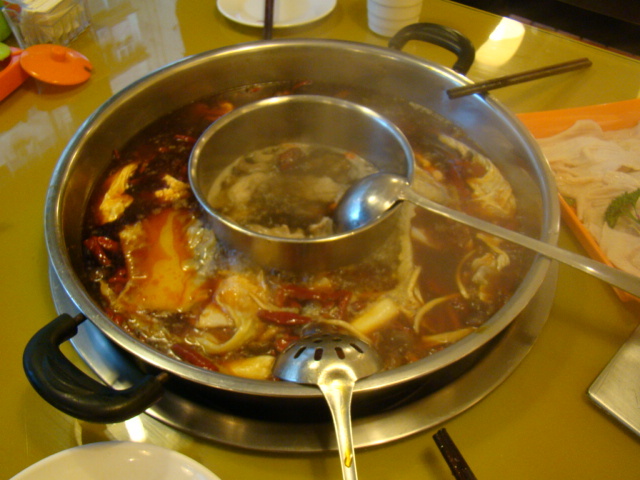 And since it’s the weekend, we did what most Sichuanese love to do on a Saturday evening – go to a hotpot restaurant. It was fun – kind of nostalgic in a way – as it might be the last time we would be going out with them. Julie leaves the next week for Nepal. Jorg, of course, is coming to Xinjiang. Dawei will be going to a summer job. I don’t have as much spice as I normally do – but the hotpot was delicious nevertheless. But really, it wasn’t the spice that made it delicious. Just the presence of good friends – good times – and somehow anything you eat is just plain freaking awesome. This is what interacting with 21-year old kids does to you – you use freaking awesome a lot more than you can think of. But you know? That’s really freaking awesome.